Let's put aside the shock that we saw a gorgeous 80-degree day in February. We live in Arkansas, for crying out loud. We should be used to this by now. I cranked up the air conditioner and put the coats in the closet, but you and I both know that winter is far from over. Probably. Who even knows. Whatever the case may be, a pop of spring stopped by for a few sunny afternoons this week, and if shorts in February is wrong, I don't want to be right. The kids used this break in the desolate winter to soak up the sun. Owen saw it as an opportunity to start spring training, and showed his dad that this t-ball season might be a good one. 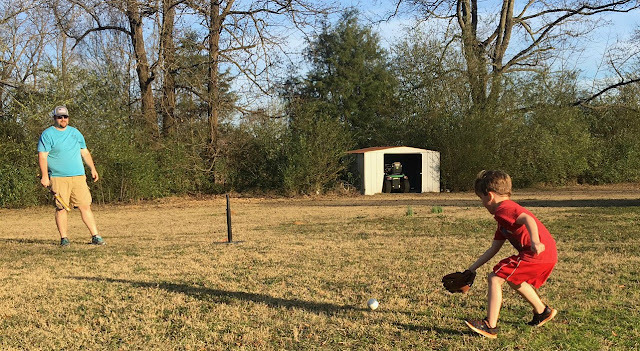 Jonathan is slated to serve as an assistant coach for both spring soccer and t-ball this year, so I'm excited to watch that unfold. Nathan spent his February reprieve hanging out with a bunch of chicks who follow him around and practically eat out of his hands. Yes, I am talking about chickens. 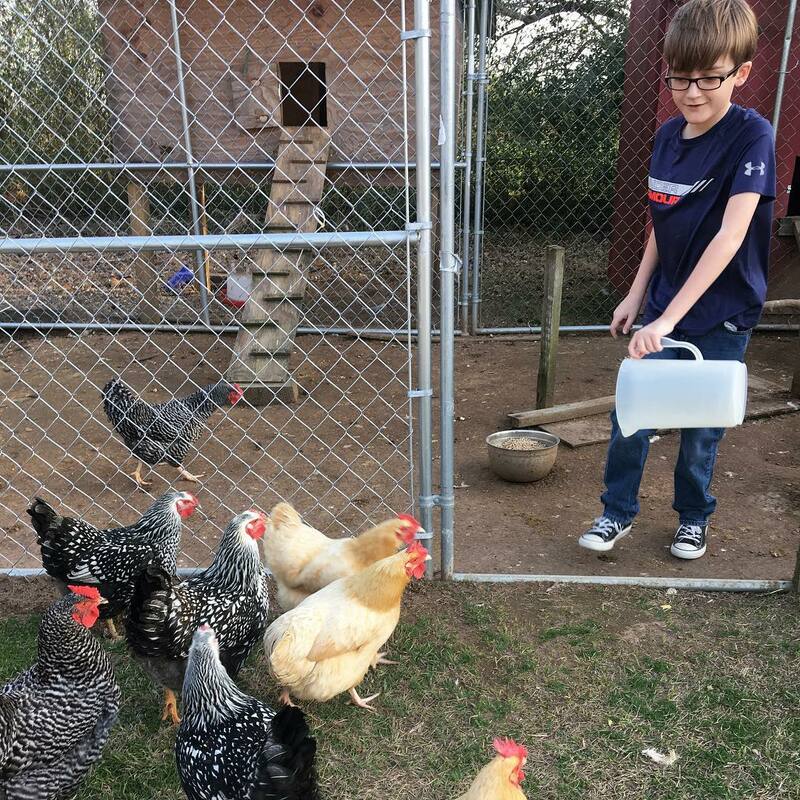 Nathan might be the only kid in our family who doesn't have a mild fear of his feathered friends and he shows that by chasing them into their run each night and making sure their food bowl stays full. He enjoys helping and I enjoy doing none of those things. A win-win! Although Nora won't hit the age requirement for t-ball this year, she also took a few swings... with her Elsa wand. She also loved finding bright purple flowers in the clover patches spreading in the yard and she happened to notice a flash of hot pink on our tulip tree. The bare branches and cold night winds remind us that winter's here for a little longer, but like the pink buds beginning to open, these last few days have been a brilliant reminder that spring is coming. Happy Wednesday, y'all! How have you been enjoying this weather?